Enjoy exquisite Cantonese-style Chinese specialties in a dining room lit with glittering chandeliers. Browse the selection of delicious dishes on an iPad menu. 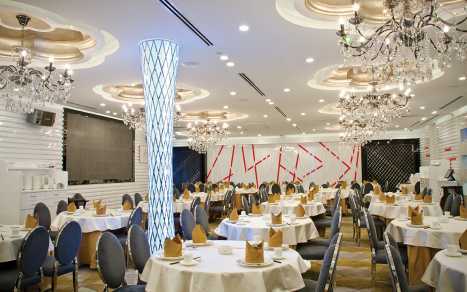 With its emphasis on quality food and service, Chef Tony is a popular choice for Chinese cuisine in Richmond. Chef Tony Seafood Restaurant opened in January 2014, and is conveniently located in the heart of Richmond at Empire Centre on 4600 No. 3 Road. Dim sum is served weekdays from 10:30am to 3pm. On weekends and holidays, Chef Tony opens at 10am. Dinner hours are from 5pm to 10pm. Please call 604-279-0083 to reserve your table.